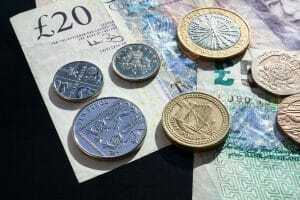 Payday Loan Refund Claims, are you due one? Have you been treated unfairly by your payday loan lender? Have you thought that you have been taken advantage of? Well now you may be able to do something about this. In late 2014, after a number of years of seeing payday loans at interest rates of over 4500%, the FCA stepped in and put a cap on payday loans and short term loans. A high number of people who took out payday loans before the 2014 FCA regulations were put in place, may be eligible for a refund of interest, even now there are some payday lenders who are still acting irresponsibly, but this has reduced dramatically. Lenders should make it clear how much it will cost to repay a payday loan, how much each payment will be and when those payments will be due. In practice, this means providing you with a quote for how much it will cost you in interest. Any information provided should be clear and accurate, including the total repayment amounts for the full length of the loan. This is so when you come to sign your contract to receive your loan you know how much you are signing up to pay back. When you apply for a loan, your short term loan direct lender should be checking whether you can A. Afford to pay it back and B. Check whether this loan will put you in a worsened position financially, than before the loan.